It’s the holiday season, and all around are brightly lit Christmas trees. The practice of bringing parts of evergreen trees into our homes has been carried out since ancient times. People have celebrated the winter solstice, which falls on December 21st or 22nd for the northern hemisphere, for thousands of years. The winter solstice is the shortest day of the year, which means after the solstice, the days will start getting longer and spring is on its way. Nature begins to re-awaken. To celebrate the coming return of fruitful fields, people would bring green boughs inside. 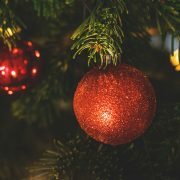 Here is a great article about the history of the tradition of the Christmas tree. Today is the winter solstice of 2016, and it is certainly a day to celebrate. After today, our planet is on the return trip to warmth, strong sunlight, long days, and of course, the growing season. 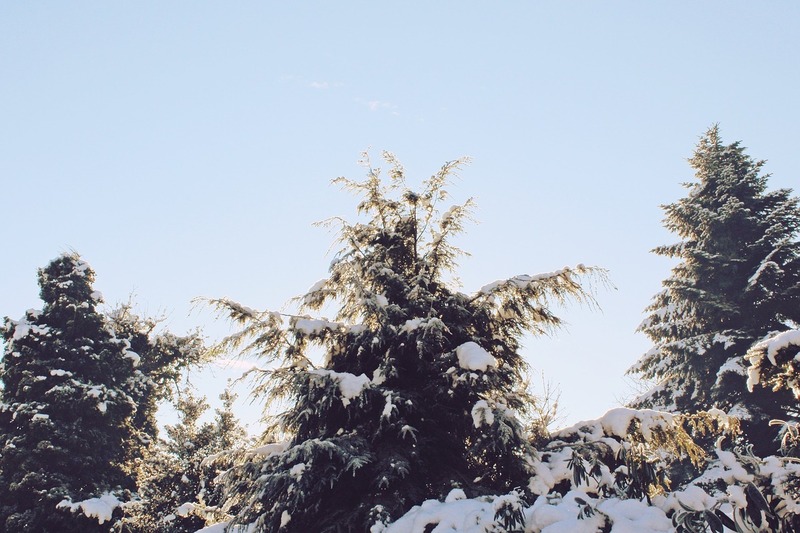 Do you celebrate winter solstice or another holiday with an evergreen tree? 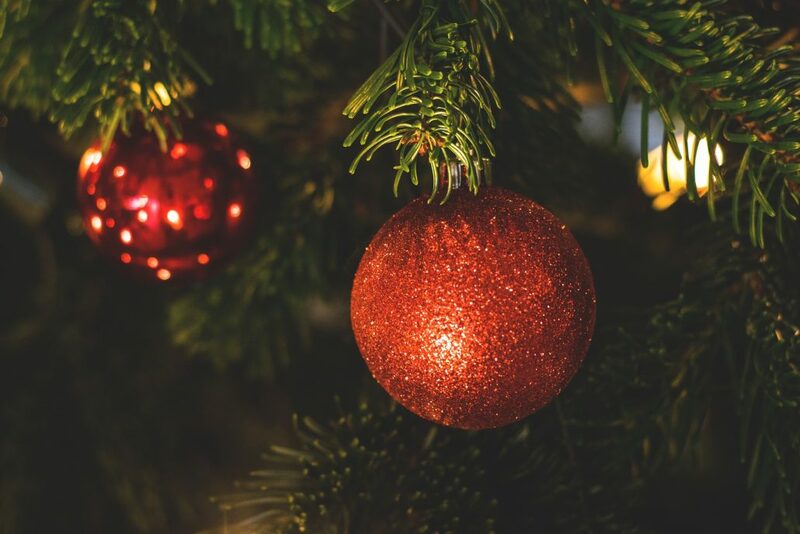 The evergreen trees we associate with Christmas are generally conifers. Conifers have fossil records dating back 300 million years. In a sense they are like living fossils. Even some of the modern existing species date back 60-120 million years! Conifers usually have needle-like or waxy leaves and toxic chemicals which protect them against herbivores. With all their adaptations, these trees are extremely resilient, and the world’s oldest living trees belong to this group. The oldest non-clonal tree is a Great Basin bristlecone pine in California at 5,066 years old, and the oldest clonal tree is a Norway spruce in Sweden that is 9,550 years old! They’re beautiful and fascinating, but that’s not the only reason we love conifers. The vast size of conifer forests make them our largest terrestrial heat sink, meaning they help counter climate change by absorbing excess heat while inhaling carbon dioxide and exhaling oxygen. Like all trees, in large numbers they regulate climate, blocking wind and creating rain through evapotranspiration. They’re also extremely important to wildlife, offering shelter from the elements, protection from predators, nesting places, nesting material, and food. 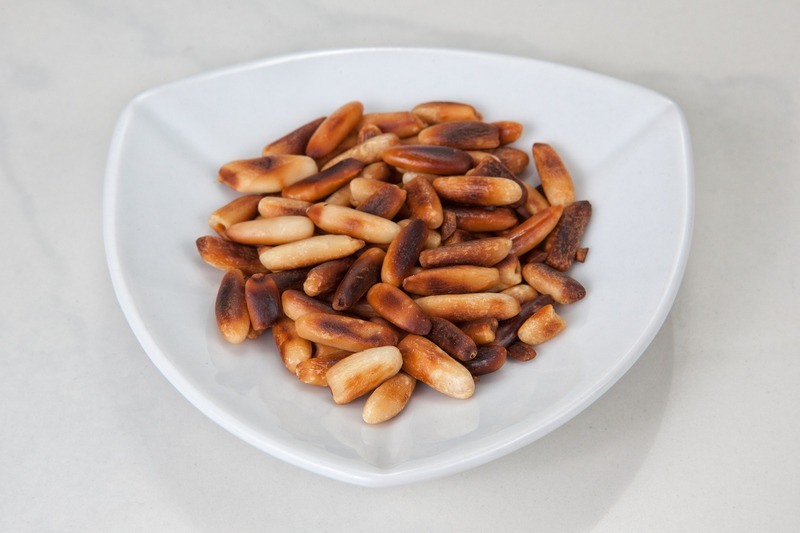 Roasted pine nuts are a delicious source of fat and protein. Conifers are one of the most important agricultural crops of modern times. We farm these trees for timber, paper, plastic, fuel, and pine nuts. We also use them for fragrance/essential oil; resin/tar/sap/turpentine/rosin/pitch; cones for decoration and food (when young and very small); needles for tools and nutritional tea; juniper berries for medicine and flavor (e.g. gin); and amber for fossil records, jewelry, and healing properties (think amber necklaces). Living as part of a healthy ecosystem, conifer trees offer us so much, it’s no wonder we want to bring them into our homes. Perhaps an even more sacred future tradition could involve keeping the tree alive and using only a few boughs for decoration in the house or decorating a tree in the woods with some foods for the wildlife. If you do have a tree in your home, be sure to mulch it and return those nutrients to the soil so new life can grow more easily. Maybe use it to mulch your apple trees this spring! May your coming days be filled with light, warmth, and life. Happy holidays from all of us at Project Food Forest!